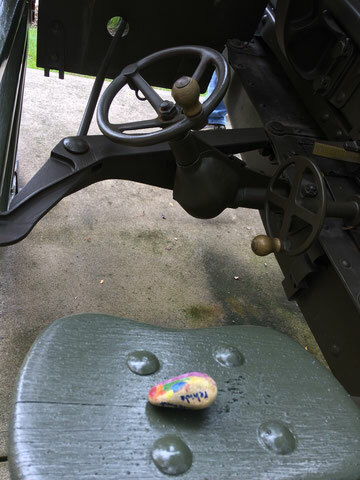 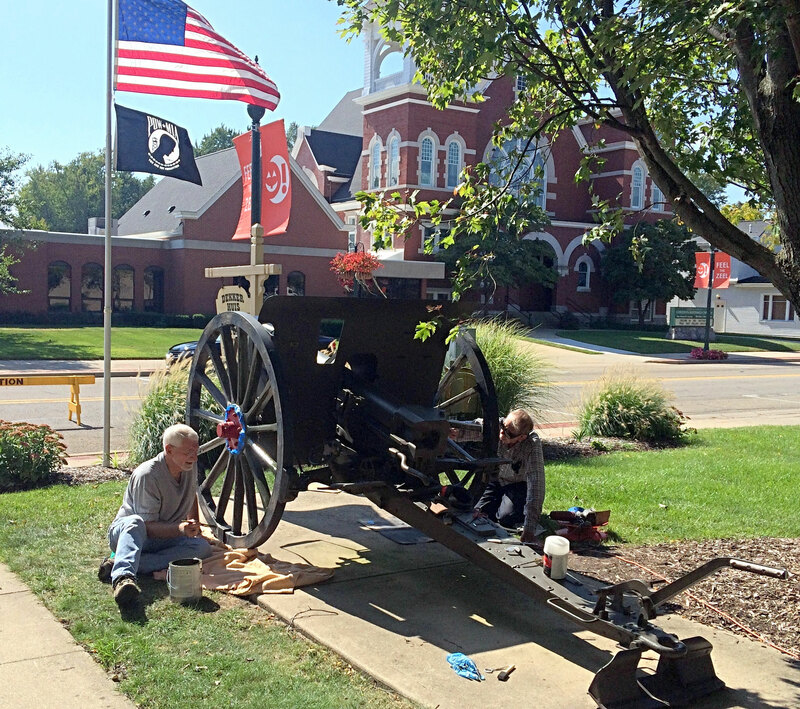 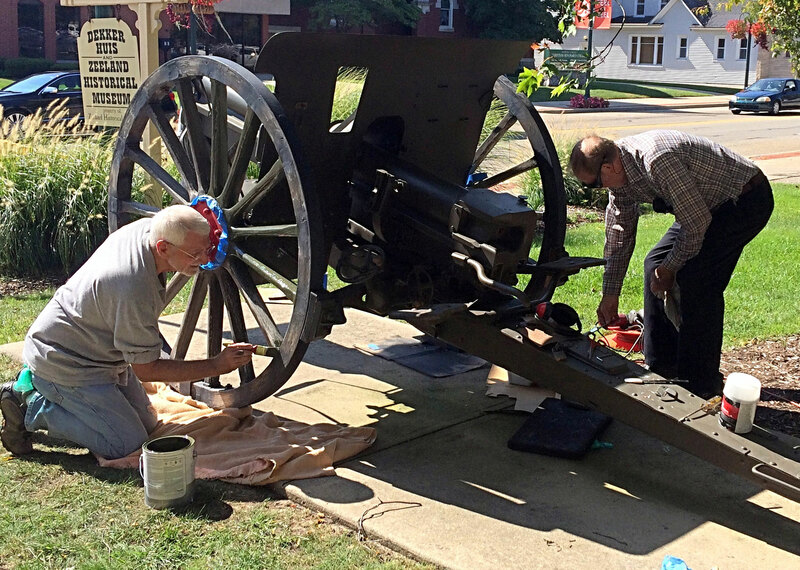 The cannon that sits on the west side of the museum was badly in need of repair. 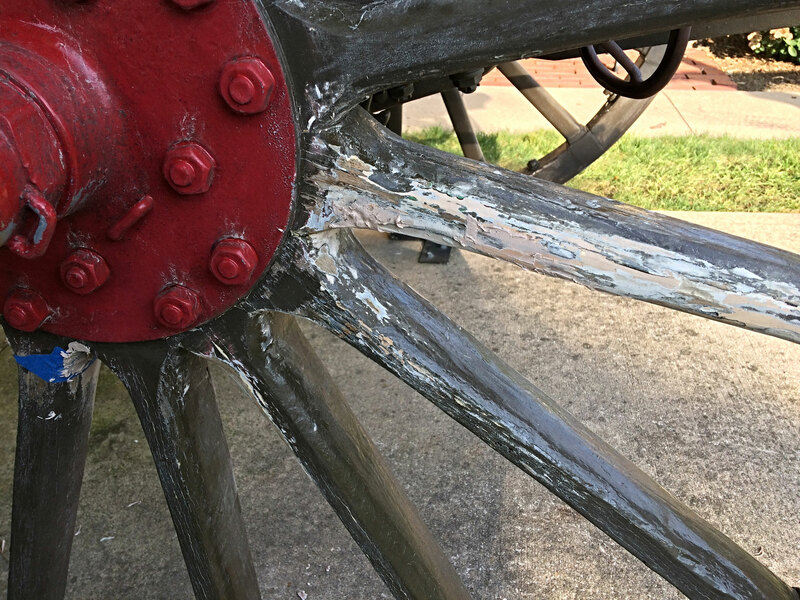 Paint was peeling, metal was rusting, and the wooden spokes on the wheels were split and damaged. Robert Boehm managed the project with help from John Norder. 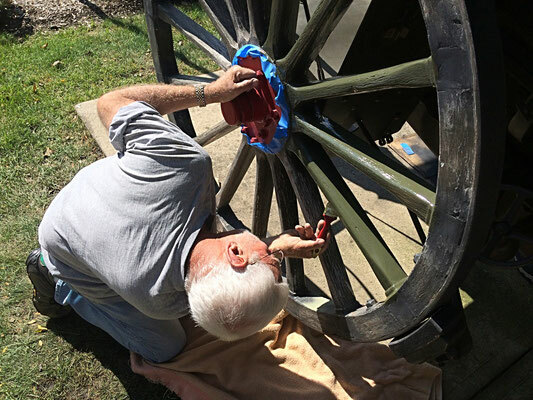 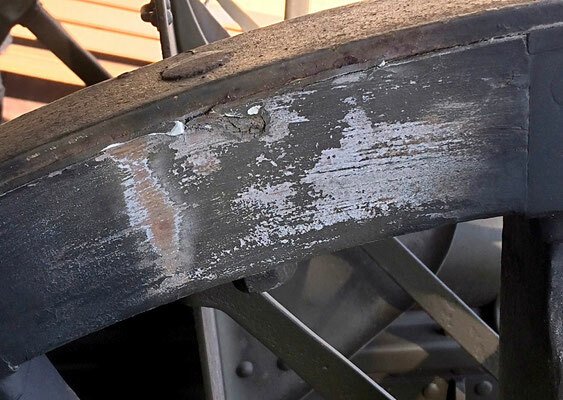 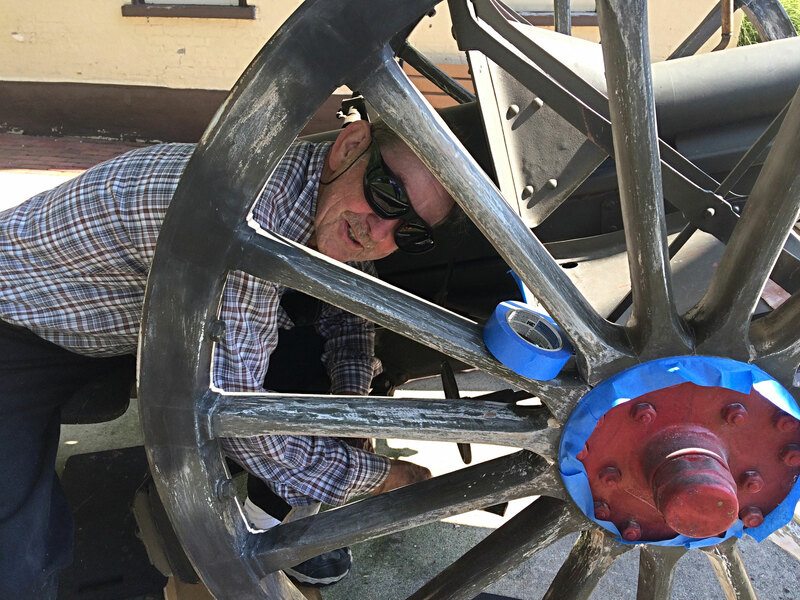 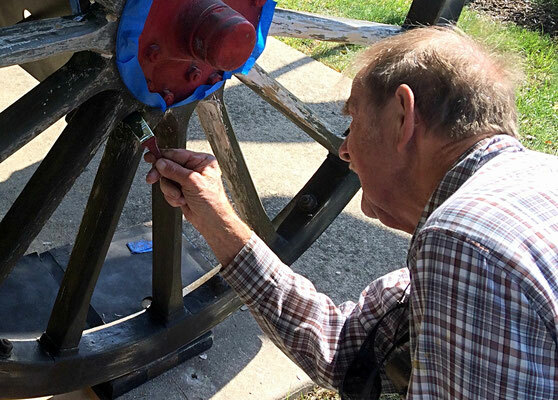 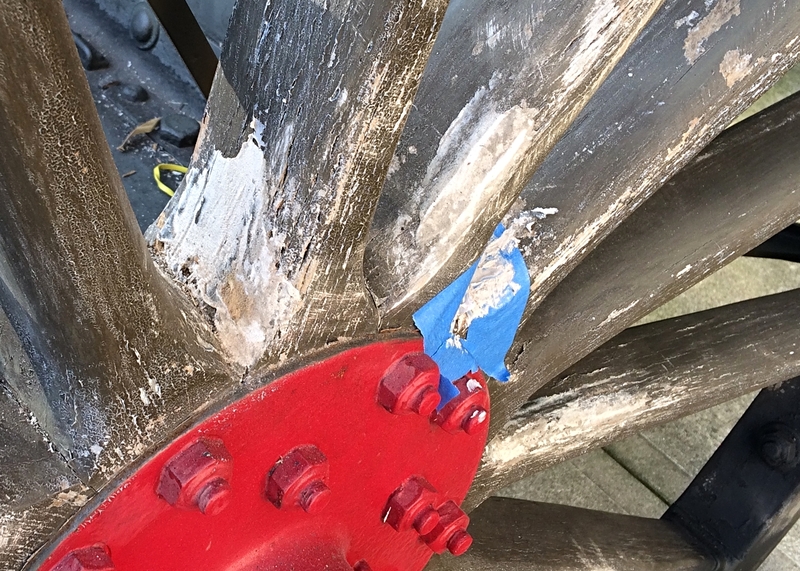 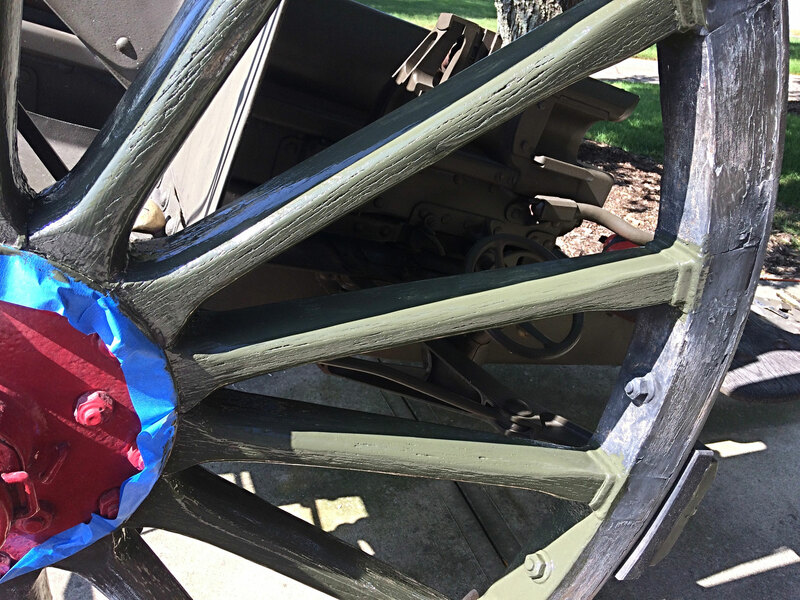 They repaired the damaged spokes, sanded all the wood sections, sanded and primed the metal surfaces with Rust-Oleum, and then applied a new coat of high-quality paint. Hopefully, now the cannon will look good for many, many years! 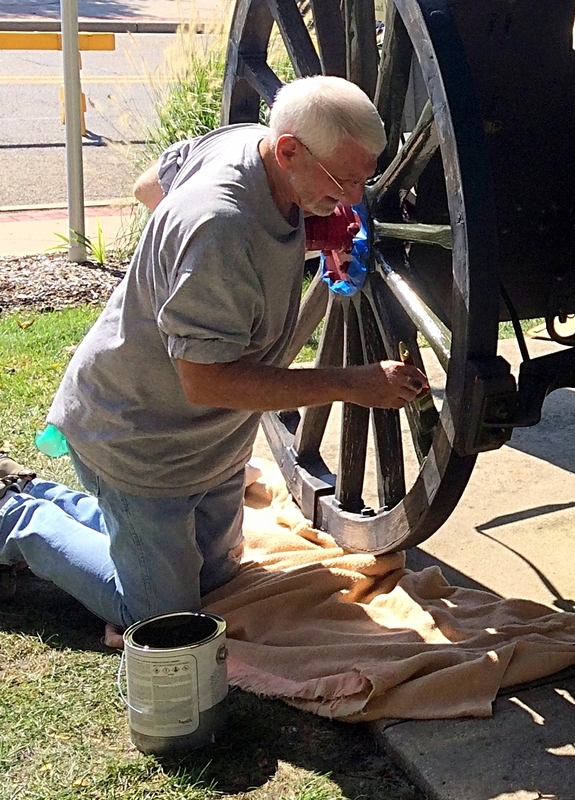 Thank you to volunteers Robert Boehm and John Norder for all your hard work! 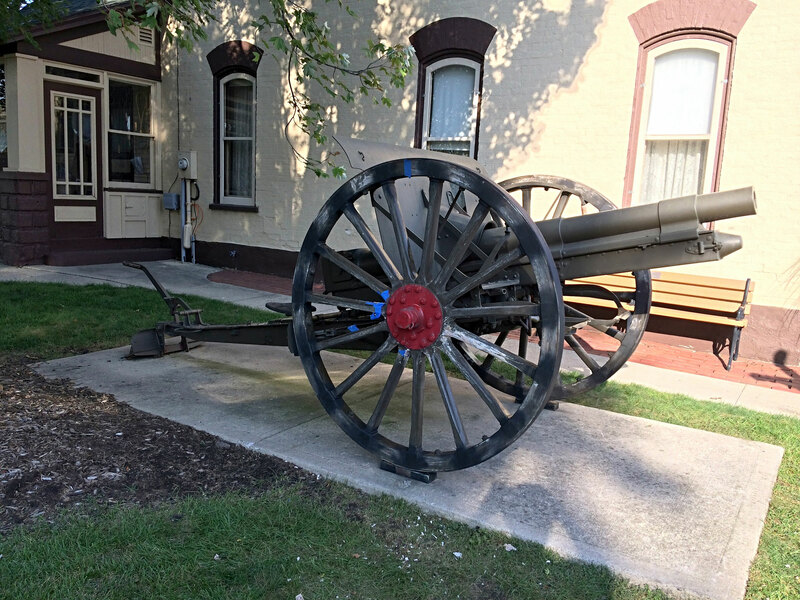 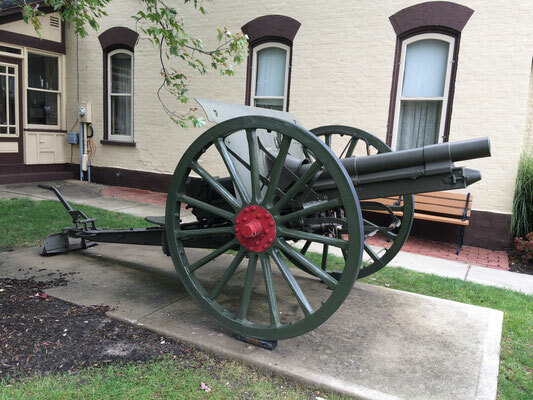 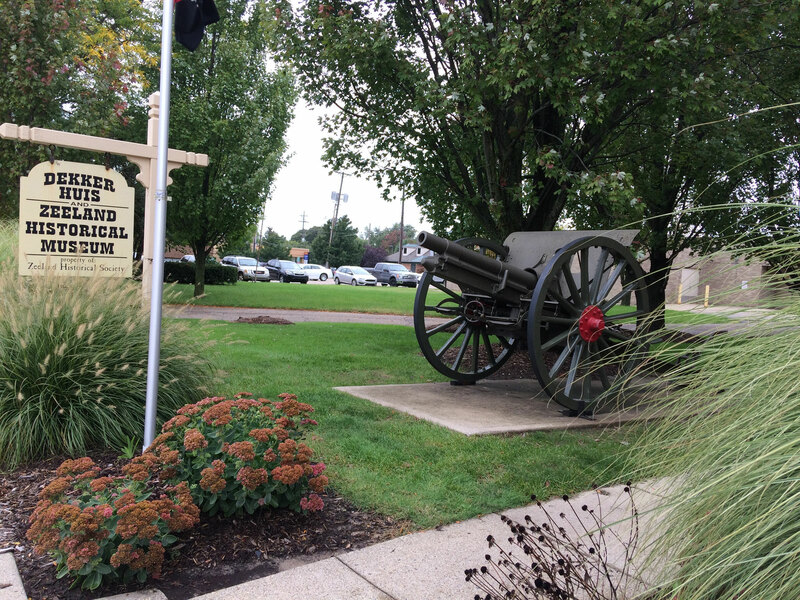 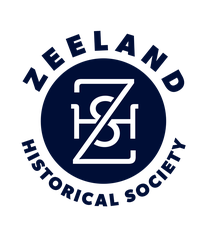 To learn more about our 1927 cannon, click here.